On the banks of the Palar river lies Vellore, one of South India’s most ancient cities. A transit point for travellers, an attarctive tourist destination and a hub for medical tourism, Vellore has much to offer. Vellore boasts of a rich blend of heritage and culture. The seat of the Pallavas, Cholas, Nayak, Marathas, Arcot Nawabs, Bijapur and Vijaynagar dynasties, Vellore still bears vestiges of its regal past. As far as recent history is concerned, Vellore played a major part during First War of Independence against the British. Today, the city is home to several IT majors and is a industrial hub. There are numerous leather and tannery industries in Vellore and it is famous for its finished leather goods. In fact, it accounts for almost 37% of the country`s exports of leather related products. Industrial bigwigs like Bharat Heavy Electricals Limited (BHEL). EID Parry that commands 38% of world's market share in bathroom accessories,Tirumalai Chemicals and Greaves are anothe rmajor source of revenue. With the advent of private hospitals like CMC, Apollo KH and Sri Narayani Medical Research Center, Vellore has emerged as a popular detination for medical tourism. What makes the city attractive to tourists is the weather. Being 200 metres above sea level, Vellore has extremely pleasant winters with temperatures falling as low as ten degree Celsius. Though April-June are best avoided as the sun is scorching, you can expect good weather all around the year. 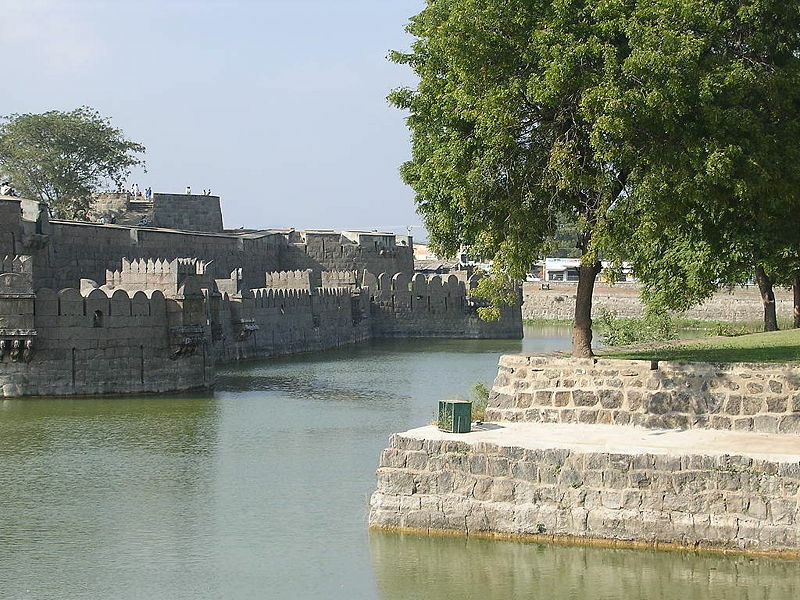 Vellore Fort - This 16th-century fort used to be the headquarters of the Vijayanagara Empire. It has grand ramparts, a wide moat and robust masonry. It houses a church, a mosque and a maginificently carved Hindu temple. Remember to visit the Fort Museum that contains priceless objects of art, weapons, sculptures, bronzes, wood carvings, handicrafts amongst other interesting artifacts. 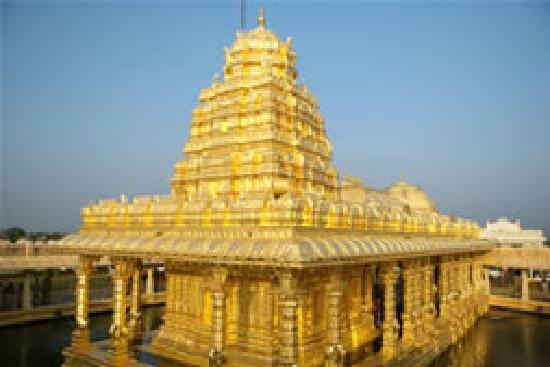 Sri Lakshmi Narayani Temple - Located 7 kms away from Vellore, the interior and exterior of this temple has been coated with gold. 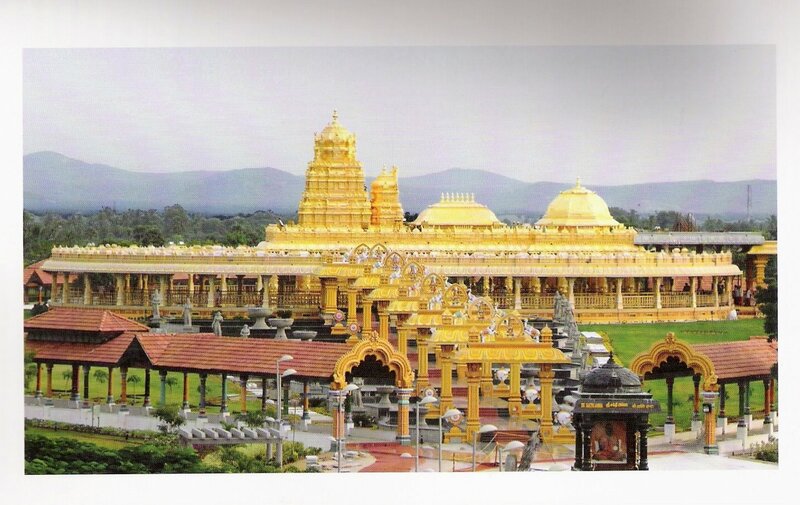 Built over a 100 acre site, this temple was made at a cost of Rs. 300 crores. It has a star-shaped pathway with messages from the Vedas on either side. A must-see! Kavalur observatory – Also known as the Vainu Bappu Observatory, it houses the largest telescope in Asia. Located at an altitude of 725 metres above sea level, it is perfect for covering both northern and southern hemispheres with equal ease. As such, it is the only major astronomical facility between Australia and South Africa for observing southern objects. Amirthi Zoological Park - Situated 25 kms away from Vellore, this zoological park was established in 1967. Spread over 25 hectares, it is home to many beautiful species of plants and animals. It is also home to numerous kinds of herbal plants and sandalwood trees. Check into one of the two rest houses and enjoy the peace and quiet!